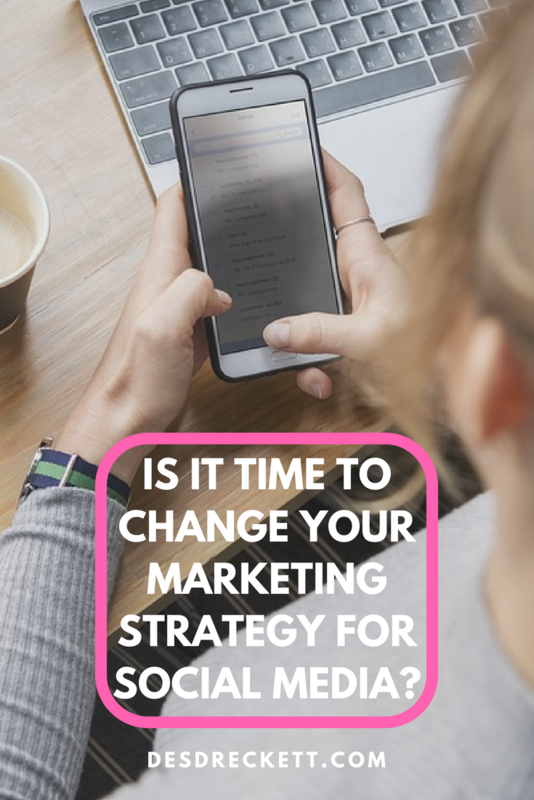 » Is It Time To Change Your Marketing Strategy For Social Media? Is It Time To Change Your Marketing Strategy For Social Media? So, I had a bit of a rant last Tuesday about Twitter hating external links and not showing tweets with links high up in the feed. This isn’t an isolated incident. In fact, all the major social networks do this in one way or another. The strange thing is, I actually noticed this happening on LinkedIn first before Twitter and adjusted my strategy accordingly. So why are the social networks doing this? In essence, it all comes down to the all mighty dollar – following on from one of my tweets on Tuesday, I explained that the social networks need to produce a profit each quarter and they can only make money by selling advertising. To do this, they need to ensure that a user stays on their platform for as long as possible. The way they do this is to reward tweets that don’t have an external link whilst downgrading tweets that do. You’re always one decision away from a completely different life. Now, if you’re using Twitter for any length of time, you may or may not have noticed the drop in engagement? It’s even worse for accounts that just post tweets with external links (like my XenMedia Twitter account often does). If I was a shareholder of one of these social media networks, I would totally get what they were doing and why they were doing it. The problem is, I’m not one of their shareholders and one of my main motivations for using social media is to publicise my business. Twitter – 7th February – The company announces new rules for developers meant to prevent bots from using third-party apps to spread spam. Facebook – 11th January – Mark Zuckerberg’s 2018 announcement that the Facebook algorithm will prioritize “meaningful interactions” from friends and family over content from brands. Instagram – Mid 2017 – Posts with high engagement (likes, comments, shares, views, etc.) will rank higher on your Instagram feed. A post also does well based on how quickly a post receives its engagement in the stream. Linkedin – Mid 2017 – Initial filter – as soon as you post something on Linkedin, it goes through a series of quality filters to determine spam level, etc: Every time you post an update to LinkedIn (even if it’s an image), a bot immediately places the content into one of three categories: Spam – Low-quality – Clear It then tests your content with a small audience first to see how popular it is and scores it based on likes and comments it receives. 1 How Did I Post My Content Previously? How Did I Post My Content Previously? The way I did this in the past was to post my articles to social media as soon as they were published and have people share that with their followers who, in turn, shared the same article with their followers. That way you would have a small viral effect each time you published one of your articles. I still intend on tweeting inspirational and motivational tweets and I’m not going to stop tweeting content with links – I’m simply going to tweet less of them. 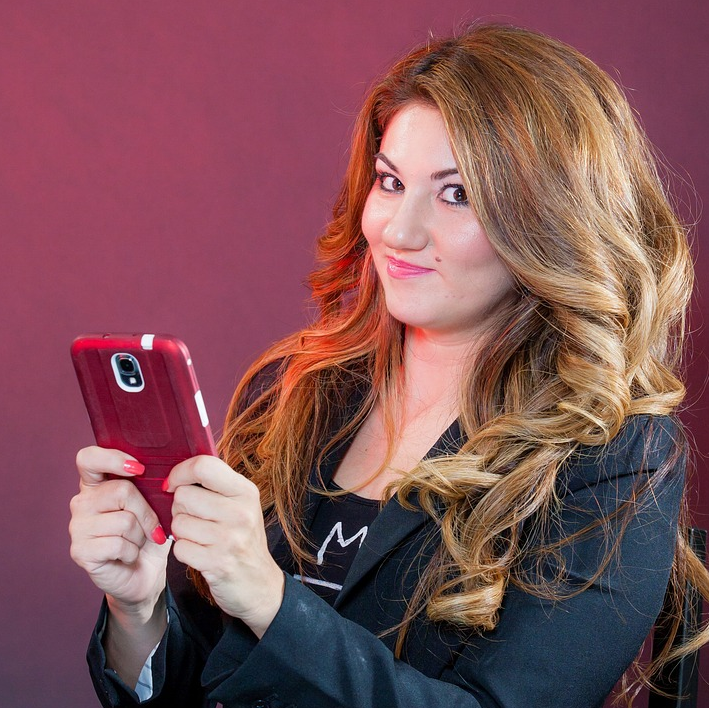 I suppose the reason I’m writing this article is to give you an insight into how I’m going to run my own and my clients’ social media platforms going forward and the exact same strategy we’re going to implement. 1. I’m going to concentrate on creating a lot more content for my own platforms (websites, blogs etc). The reason I’m doing this is to start ranking for some long tail keywords in my niche(s). The more traffic I can drive back to my website via Google, the more my prospective audience will consume my content. This is more of a long-term strategy but one that has paid off in previous businesses – you need to be willing to be patient and have the ability to play the long game for this to work. It means writing really great content on a specific topic but can be both used as a reference whilst at the same time being evergreen. Have you been struggling to get traffic to your website? Click Here and let me show how to get traffic! SEO has got its own drawbacks (far too many to mention in this article), but you know what? It still works and the main search engines are still rewarding you for producing really great content in exchange for supplying eyeballs to your website. Since I’m going to be writing lots more content, it also gives me the ability to interlink my articles within each article. This basically means I’m promoting other articles that were written previously to a new reader who hasn’t seen them. This is where the power of content marketing really starts to work. It’s also a great way to re-introduce the search engines to older articles; in effect, you’re killing two birds with one stone. 2. I’m going to employ the content upgrade strategy and have less annoying pop-ups on my website (I won’t get rid of them completely). Why and what is a content upgrade? 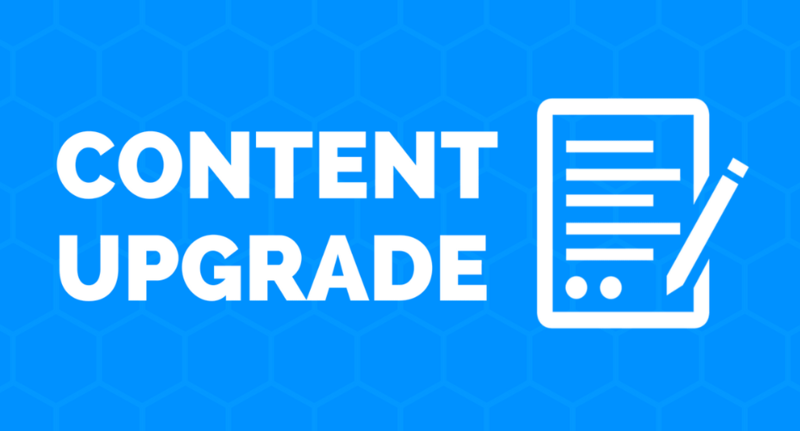 A content upgrade is basically extra information on the topic you’re reading about or a downloadable/printable document of the same. The only way to gain access to this is to sign up to an email list. Not only will this help my reader by giving them a means of reading my article in their own time, I also have the ability to capture their email address so I can build trust, nurture a relationship and eventually sell one of my products and/or services later on down the line. Note: This is the strategy we are now rolling out for all XenMedia clients going forward. Don’t get me wrong, I also hate pop-ups and it’s not something I’m ruling out forever – it’s just that the content upgrade strategy is a far more appealing way of capturing an email address than having several pop-ups on my website(s). 3. If I’m honest, I’ve been rubbish at email marketing for quite a few years and have normally outsourced this to a third party in the past. When I say rubbish, what I really mean it is: I’ve never really given it that much time and effort before. However, that’s about to change because I’m going to force myself to send a weekly email to my subscribers by way of a newsletter each Friday. The great thing about announcing to the world your schedule is the fact that you are then placing a certain amount of pressure on yourself to come up with the goods each week. This isn’t the most comfortable feeling in the world but it ensures I get it done since my subscribers will be looking forward to my email each Friday. Letting them down is not an option. This is a great way of making sure you get things done when you are being held accountable by people who follow you and they have subscribed to one of your lists. 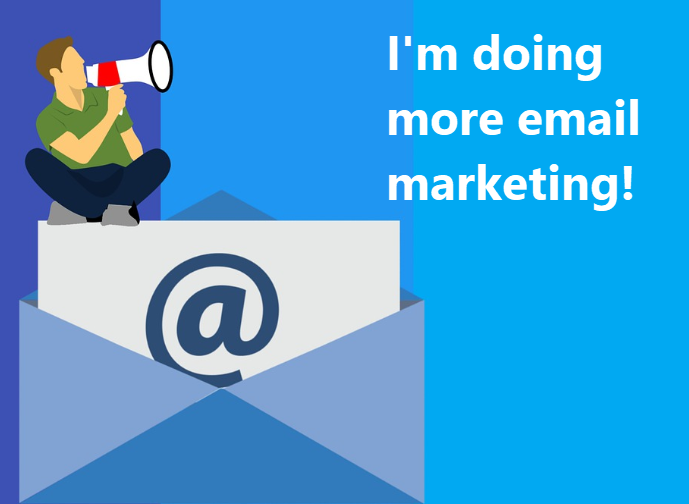 I truly believe that email marketing is the way forward when it comes to nurturing relationships and building trust. This is pretty much second nature on social media but a lot harder to do via email. 4. I’ve been putting it off and putting it off but I really do need to set up a private Facebook group as well. I know why I haven’t done it yet – it’s because I know that I have so little time to dedicate to groups like this and I don’t really want to let anybody down, especially those with high expectations. Even though I don’t own the Facebook platform, it still allows me to control the narrative to some degree and also build or enhance a community. So, that’s it… That’s my strategy going forward. This isn’t something I wanted to do, but I always try to make a positive out of a negative. Hopefully, I’ll build up more of a relationship with the people who follow me and it also means I produce more quality content in the long run. Do you think this is a wise move? Showing you how the professionals steal traffic legally and send it back to their own websites. Use a system that gets them immediate results with just a few hours of work. A simple trick to double your web visitors overnight. Note: Very few people are doing this!